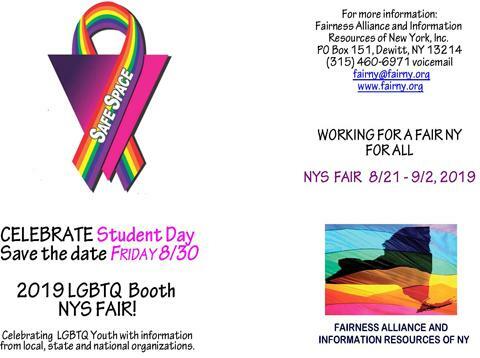 On Student Day we celebrate LGBTQ youth and their families. We have information on how to create safe schools for LGBTQ youth, information on resources for LGBTQ youth across the state, resources for parents and family members on how they can best support their LGBTQ children and resources for educators and service providers on how to address the needs of LGBTQ youth. We also provide information on the harms of conversion therapy, and the ways it can endanger the health and psychological well being of LGBTQ youth. To support Youth Day, please use the following form for sponsorship. The form can be printed or downloaded. This form also provides information on how to advertise in the NY Pride Network Guide. You can also use paypal to pay for sponsorship on our sponsor page, the link is at the top of the page.